There’s no need to fear the stormy months of tornado season when you’re prepared with a good business continuity plan to get you through any disaster. 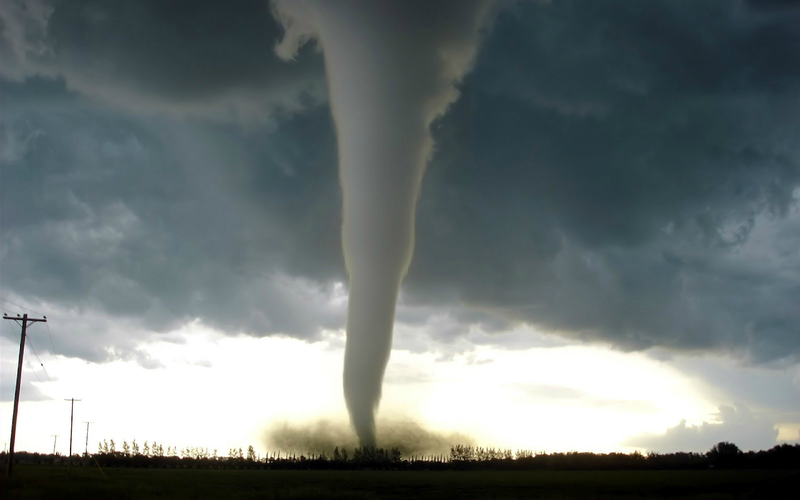 Here are eight tips for business safety when tornados come knocking. Every employee on your payroll should know who to contact in case of disaster. Have a detailed emergency plan that will keep you informed of any developments during a storm. Make sure your roof is in good condition. If it’s in disrepair, ask your roofing company what steps you can take to make sure it stands up against high winds. Windows should be shatter resistant with the ability to withstand high levels of impact. Inspect the hinges and bolts on your doors and confirm that they’re tight and secure. If you have expensive equipment, put it in secure rooms that are less likely to be breached by storm winds. For large pieces, bolt them down if possible to prevent tipping. At Earth Networks, our weather software includes severe weather alerts that update faster than any other tracking system. See severe storm predictions in real time to help you prepare when a storm is on the horizon. Know the exterior of your property inside and out. Locate any power lines, trees, or other large structures that may fall onto your building in high tornado winds and prepare a contingency plan in case this happens. Review your property’s insurance policy so you’re well-informed of your coverage. Keep all important documents in a safe, secure place so you’ll have it readily available when you need it. In the unfortunate circumstance where your business is impacted by a tornado, be sure to document any damage to ensure your claim is addressed accurately. Take photos of any minor or severe damage. Let Earth Networks help you prepare for any storm with our advanced weather tracking and alert system. Contact us today using our online form.